The Best Natural Ketogenic Sweetener? Sugar is tricky. We are told biologically that our brain runs off of sugar in the form of glucose primarily, and that if we don’t maintain steady blood sugar levels then we will not run optimally. As a society however, Americans vastly overconsume sugar in highly processed forms such as corn syrup and fructose. Consequentially, conditions such as diabetes, obesity, chronic inflammatory disorders, and cancer are all at historically high prevalence rates. Although not the only factor involved, excess sugar intake and rampant blood sugar imbalances can dramatically influence all of these diseases. As more and more people are becoming aware of the detrimental impact of these sweeteners, sugar replacements are flooding the market in order to capitalize on this trend. There are many great natural sweeteners such as stevia, monk fruit, raw honey, yacon syrup and more. The ones with the lowest impact on our blood sugar are stevia and monk fruit. These will help influence the production of therapeutic ketones and the utilization of ketones as opposed to sugar for energy in the body. This article addresses the question: What is the best natural ketogenic sweetener? Too often I meet people who are diabetic or trying to lose weight who have replaced sugars in their diets with highly refined artificial sweeteners like aspartame or sucralose. These artificial sweeteners are toxic to the brain, disrupt the health of our gut bacteria, and may even lead to metabolic dysregulation (Which could mean weight gain, go figure!). I personally have come across two types of sweeteners that fit these criteria that I use personally and recommend my patients use every day, Stevia and Monk Fruit (Lo Han). I am not a huge fan of sugar alcohols such as xylitol or erythritol as they are disruptive to the gut microbiome and can lead to gas, bloating and other unwanted digestive distress in many individuals. Some do ok with sugar alcohols but in comparison to stevia and monk fruit, they just don’t measure up. Stevia is a plant that has been used for thousands of years. Its use was originally documented in South American tribes where it was used to sweeten teas and was believed to have healing properties (they may have been right). This natural sweetener can be up to 300 times sweeter than sugar so a little goes a long way and can be used sparingly as an alternative. There are two primary components that have been isolated from the stevia plant that are responsible for its sweet taste. First, there are stevioside compounds that have a sweet taste but also have been noted as having a licorice-like aftertaste. Then, there are the rebaudioside compounds which are isolated in highly refined commercial stevia products because they provide a sweet flavor with no licorice taste. Although these isolated stevia components may be healthier than other chemical sweeteners, whole-plant extracts of Stevia exist as a more wholesome option. I will cover my personal favorite brand after running through why I think its such a great sweetener. Monk Fruit (also known as Lo Han or Lo Han Guo) is a melon-like fruit native to southeast Asia where it has been harvested and consumed for hundreds of years. Similar to stevia, monk fruit is a natural sweetener that doesn’t entirely get its sweet flavor from sugar. Instead, this sweetener contains sweet-tasting compounds called mogrosides that are rated 300 times sweeter than sugar and may provide the same flavor without the drawbacks. Monk Fruit extracts have made their way into the US market and are sometimes combined with artificial sweeteners or sugar alcohols. This is very deceptive and unfortunately far too many companies are tricking consumers by advertising a combination product as monk fruit alone. Be aware that your favorite sweetener may be doing this as well. Keep reading for my favorite brand! One of the main reasons I consider these sweeteners superior is that they have no impact on blood sugar levels. Not only does this mean that they do not contribute to blood sugar imbalance, but also that they can be used safely in diabetic populations. They are also keto-friendly! 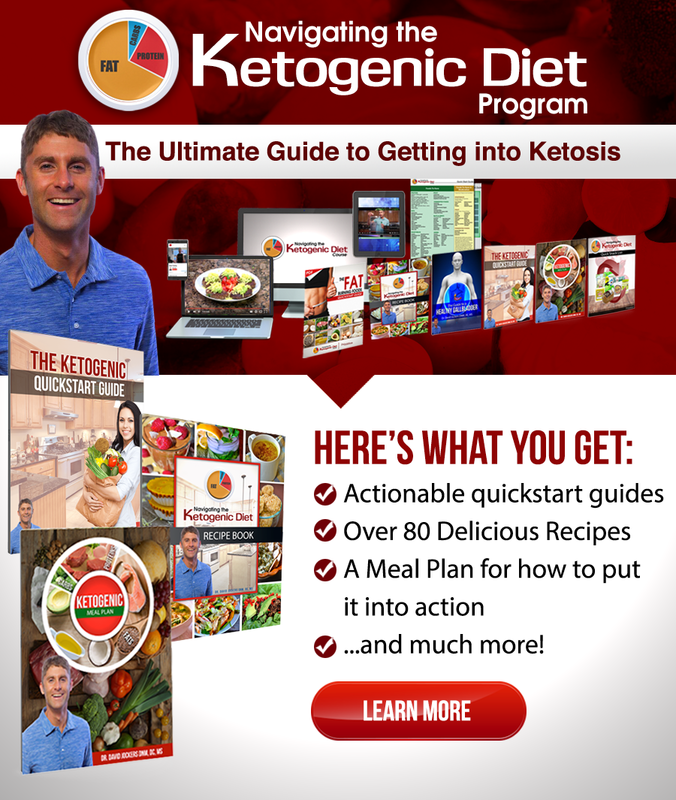 I will typically use either an Elimination and Cyclic Ketogenic styles of eating with my patients who are facing chronic health challenges and these diets strictly call for the absence of processed sugars. 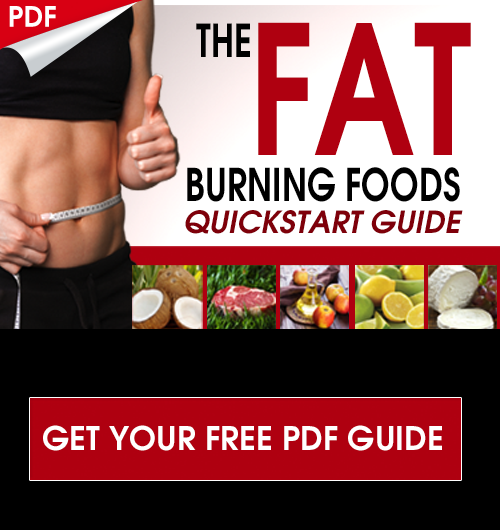 With the use of natural sweeteners that do not contribute to blood sugar imbalance, these seemingly restrictive diets become much more appealing. Just give these keto brownies or this vanilla ice cream a try you’ll see what I mean. Stevia & Blood Sugar: Stevia has been found in both animal and human studies to have beneficial effects on blood sugar balance (1). In addition to not increasing blood glucose, some emerging evidence suggests that it may even improve insulin signaling (2). Monk Fruit & Blood Sugar: Monk fruit also has a blood sugar stabilizing effect. Although much less research exists on monk fruit and its components, preliminary studies show promise for improving insulin signaling by protecting the pancreatic insulin-releasing cells from oxidative stress (3, 4). Stevia’s Nutrition: Analysis of a whole-leaf stevia extract found that the stevia leaf is actually a diverse source of nutrients. Stevia contains a broad range of polyphenols, carotenoids, chlorophyll compounds, and amino acids (5). Although I wouldn’t suggest it as a primary source of nutrition, using stevia as a sugar replacement adds a modest nutrient boost to your foods. Monk Fruit’s Nutrition: Analysis of Monk Fruit shows that it is also of nutritional value and contains a range of flavonoids, amino acids, polysaccharides, and triterpenes (which may have cancer-fighting potential, but more on that later)(6). This distribution of healthy components may be responsible for some of monk fruits documented health benefits including: anti-oxidant, immune boosting, and protection of the liver (all of which are the exact opposite of sugar’s effects). It has been known for years that sugar can contribute to the development and progression of cancer. 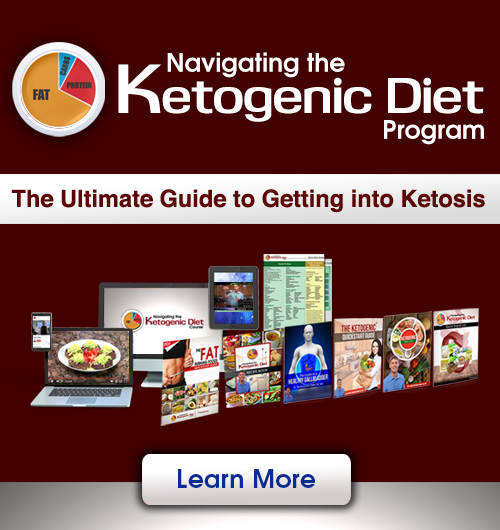 As a result the ketogenic diet has become a popular approach for essentially starving cancer cells of their primary fuel source, glucose. This approach has produced amazing results in helping the body rid itself of cancer. Something that’s really amazing though is that using stevia or monk fruit in place of sugar may provide anti-cancer benefits independent from those of simply not eating sugar. So you can have your cake and fight cancer too! Just replace sugar-containing ingredients with stevia or monk fruit to taste (may require some experimentation). Stevia: Stevia contains the compounds quercetin, apigenin, and kaempferol, all of which have been shown to reduce oxidative stress and potentially help control the development of cancer (7, 8). Another study found that a whole-plant extract of stevia had a higher anti-cancer effect than did stevioside alone which again highlights the importance of buying in either plant form or whole-plant extract form (9). Monk Fruit: Monk fruit gets its sweetness from a class of compounds called mogrosides. There have been five different mogrosides isolated and they are simply referred to as mogroside I-V (aka 1-5). Mogroside V has been found in research to have the ability to inhibit tumor growth in pancreatic cancer by interfering with the rapid dividing of cancer cells, preventing angiogenesis (blood flow to the tumor), and even promoting cancer cell death (10). Consuming processed sugars or even just too much sugar from whole-food sources can cause blood sugar to fluctuate tremendously. This pattern over time contributes to significant inflammation and as a result, ends up acting as an immune suppressant. Additionally, certain chemical sweeteners such as sucralose have been shown to destroy our healthy gut bacteria, which act as one of our primary immune defense systems. Avoiding sugar and artificial sweeteners, once again, provides the benefit of boosting immunity. Could it be that natural alternatives may add to this benefit? Stevia: As has already been covered in this article, stevia can help regulate blood sugar as well as provide a modest array of nutrients to the diet. These things will have their own benefit for the immune system but some research has isolated one of the primary components, stevioside, as a potential immune-boosting agent (11). Some evidence suggests that stevia also has mild antimicrobial effects when taken internally and has even shown some promise in combating Lyme disease (12, 13). Monk Fruit: Once again, monk fruit has demonstrated almost identical properties to stevia when it comes to immune support demonstrating immune-boosting and antimicrobial benefits (6). Yet another added benefit of using non-sugar sweeteners is that they do not feed bad microbes in the gut such as candida. If you are trying to correct a dysbiosis, using these sweeteners over sugar is a must! Look For Purest Form: Depending on availability: you want to buy the purest form or a whole-food extract such as this one for stevia or this one for monk fruit. I have found that sweet leaf stevia is much more readily available in-store than monk fruit in my experience. I also enjoy the Sweet Leaf brand of stevia, which is organic but not whole leaf. Ragweed Sensitivity and Stevia: Stevia is a member of the ragweed family, which is an allergen for some people. If you have had a bad experience using stevia in the past, it is most likely due to a sensitivity. In this case, it is important to avoid stevia and opt for monk fruit. Get Rid of Stevia Aftertaste: Some people report a bitter aftertaste after consuming stevia. I have found that adding a small pinch of pink salt along with stevia gets rid of this effect. Look For Organic: The production of stevia seems to be slightly better regulated and finding an organic extract of monk fruit may be a challenge. However, just because there is not an organic certification does not mean that it was raised with the use of chemicals. A large majority of monk fruit is harvested from its natural habitat and therefore would technically meet organic standards. HOW ABOUT YOU GUYS MAKE YOUR OWN MONK FRUIT & STEVIA SWEETENER WITH NO AFTERTASTE. The ones we recommended are actually very good. Try them out! Great info as always, thank you! Question regarding gum. I chew spry but I noticed you said to stay away from xylitol. What would you recommend as a good choice? Can you recommend an organic extract of monk fruit and where to purchase it? unfortunately amazon will not ship to Australia. How else can we get it. Sorry to hear that, try your other online retailers or health food stores. Does anyone know how to buy “PURE MONK” brand for Australia. Amazon does not ship it to Australia and I am urgent to get hold of some. How about xylitol. It is not mentioned at all. My dentist recommends xylitol. How about just growing your own stevia plants and using the actual leaves? Any reason not to go that route? Thanks! That is a great idea Paige! I had stevia growing in my backyard at my old house. Tastes great just picking it off the plant!! Had a stevia plant and it just tasted bitter. Planted seeds and it looked like what a stevia plant looks like.But had no sweetness. Will have to try again. Stevia has sweet and bitter characteristics and it seems that some people tend to taste the bitterness more than others. I have also heard of cases of it being an acquired taste so hopefully this time it works better for you! Will you check out Tagatose. I love the taste, tastes like sugar and no aftertaste. But not a lot of mention on the web about it. I prefer stevia, monk fruit, or something like lakanto Cris! What amounts of monk fruit powder would you have to ingest for it to have the purported cancer fighting effects? Since it is so sweet and you only use a very tiny bit would you even get any benefit? Additionally, does the processing of the monk fruit into a powder have any impact on its cancer-fighting abilities. I often hear people claiming cancer fighting benefits from this and that, but when I read the actual scientific paper(s) I come to find out they are using amounts that most people couldn’t realistically get or ingest. I am not trying to be a troll here, I just don’t want to spend what little income I have on something that doesn’t really offer the benefits touted, while in the form I would be purchasing. Thanks for a reply. Hey Dianne, yes it would likely offer minimal benefits on its own. This is why I mention it as a PART of a cancer healing plan. Also, considering it can be used in place of sugar on a ketogenic diet, it is valuable for that as well. It is important to consider a cancer healing lifestyle if you are to give yourself the best chances, not just rely on one particular food or nutrient. I hope that helps! I missed the “brand” of Stevia that you recommend? I am confused. I saved the chocolate chip cookie recipe you posted the other day, and it uses the Lakanto brand of sweetener (regular and golden) that is labeled as “monk” but has Erythritol in it. The Lily’s chocolate chips have Erythritol in them also. I have used xylitol for years with no problems, but I don’t use a lot of it. I realize some people can’t use it, especially if they are allergic to birch trees. I cannot stomach the taste of Stevia or Monk Fruit (the taste reminds me of saccharin), so my only other option is to continue to use the xylitol. Great that you know what works for you Jennifer!